Alice Wells is the Past Executive Director of AZ ASCD, a non-profit organization for educators that provides expert and innovative solutions in professional development, capacity building, and educational leadership. 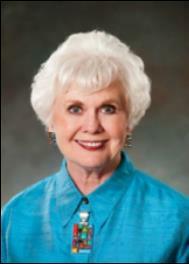 She served as the AZ ASCD Executive Director for five years from 2009 – 2015. Alice has a professional background in education and staff development training. She holds an Ed.S. degree in Educational Administration and Master’s Degree in Elementary Education. Alice has served as elementary school principal and curriculum coordinator in a large elementary school district in Phoenix, AZ. In addition, she spent almost twenty years in the educational publishing industry working with school administrators and educators with their selection and implementation of textbook materials. In her volunteer life, Alice has served as the world President of Soroptimist International, a worldwide organization for business and professional women with over 90,000 members in 134 countries.